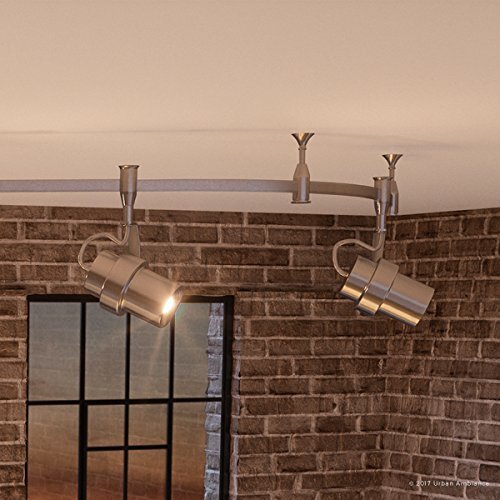 Large in size and crafted in a Modern style, its linear design is both elegant and modern making it a top selling fixture in the Urban Ambiance portfolio. With a beautiful skyline, Perth is one of Australia's most vibrant cities. When viewed from the south, the city's lights reflect across the bay and bathes the surrounding area in gorgeous light. The Perth Collection uses a lighting design reinforces this vibrancy. Made from high-purity steel-acrylic with our exquisite Brushed Nickel finish. Superior workmanship backed by a 10 year electical components warranty and a 3 year finish warranty (original purchaser). STYLE AND DESIGN INSPIRATION: Large in size and crafted in a Modern style, its linear design is both elegant and modern making it a top selling fixture in the Urban Ambiance portfolio. With a beautiful skyline, Perth is one of Australia's most vibrant cities. When viewed from the south, the city's lights reflect across the bay and bathes the surrounding area in gorgeous light. The Perth Collection uses a lighting design reinforces this vibrancy. MATERIAL, FINISH AND WARRANTY: Made from high-purity steel-acrylic with our exquisite Brushed Nickel finish. Superior workmanship backed by a 10 year electical components warranty and a 3 year finish warranty (original purchaser).